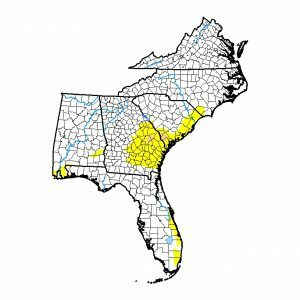 The latest Drought Monitor, released this morning, show that two small areas of moderate (D1) drought have been introduced to southern South Carolina and east central Georgia. These are in response to the dry conditions in those regions, which have been largely bypassed by the heavy rains that have hit more northern parts of those states. 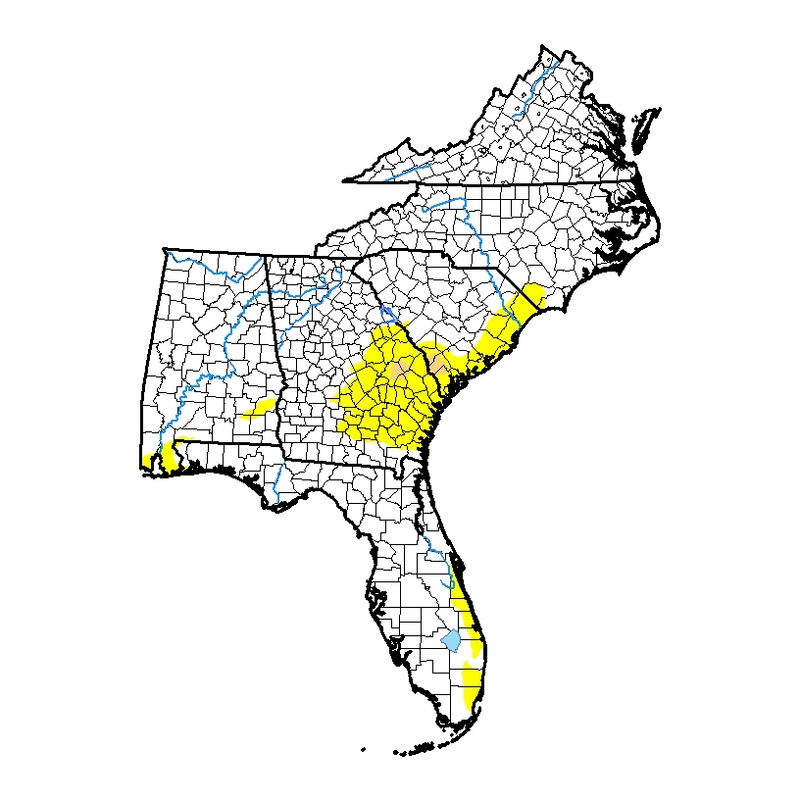 Since rainfall in those areas for the next seven days is expected to be half an inch or less, no improvement is likely in next week’s map and drought could expand.